We found traces of human presence in the park since prehistoric times, in the form of cave paintings. Later, the Arabs, were first to make a land uses for crops. In medieval times we find the period with the largest population, thanks to the measures driven to create Christian settlements in order to populate the areas. Today it is one of the catalan natural parks with greater wildlife and where human impact is felt less. The depopulation of the park began in the 50s with all the abandonment of agricultural fields to pasture animals, making grow and flourish especially new pine forests, driven by policies of reforestation from the administration. The park is located between the Iberian and Catalan Mediterranean system. It has many areas with altitudes of over 1,000 meters, with the highest point of Mont Caro at 1447 meters altitude. The landscape is mainly mountainous. Less mountainous areas have a typical Mediterranean vegetation and especially adapted to dry summer times. The space that is closer to the sea, is a particularly rugged terrain smoothing as we stray. Numerous habitats cataloged, with the aim of implementing concrete policies to protect them. Analyzing the entire length of the park we found more than 1,000 different species. The predominant vegetation is Mediterranean. We find another type of landscape as borealpinas Eurosiberian or conditioned by specific points and park altitudes. In the Mediterranean zone we can find species like the black pine and red pine, beech and yew. In the sunny and on the eastern slope found palmetto and oak maquis, in contrast to the western slope we find the holm. The special animal park is the only wild goat that lives in this place. Two other animal species receive special protection, are the otter and wildcat. The park is also rich in birds, there are vultures, and particular communities such as the vulture leonardos. Other outstanding birds are the owl and golden eagle. In the context of Catalonia, the park is rich in reptiles and amphibians, just here are focused only 50% of these species found in the whole of Catalonia. · Reptiles: We found species such as the tortoise, the lizard vipers or ashen. · Amphibians: highlight the marbled newt, the parsley frog or newt. 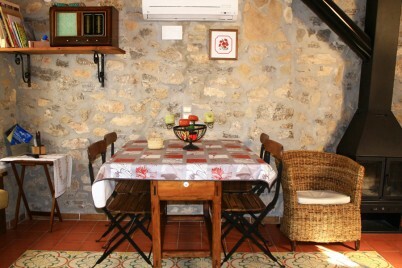 For rural tourism in the Els Ports Natural Park and visit with tranquility and time, we suggest you visit our list of accommodations in the province of Catalonia where is the park, see our cottages in Tarragona. Images, news and rural news in Catalunya on Facebook | Twitter. 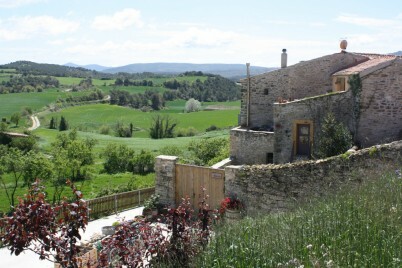 Country house in the heart of Conca de Barberà with stunning views. Ideal for groups who want to relax and enjoy this wonderful country house. 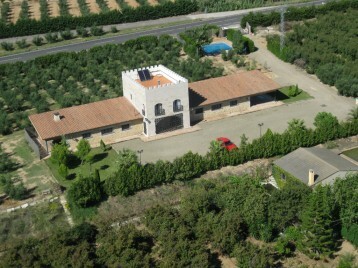 Rural house with spacious grounds and pool. Very spacious and warm. Next to the Natural Park dels Ports. Barbecue under the mountain.